Cold Hands – Do They Affect Your Game? As winter approaches, you may start to notice that your hands are colder than usual when you are gaming, especially if the ambient room temperature drops during the colder seasons. 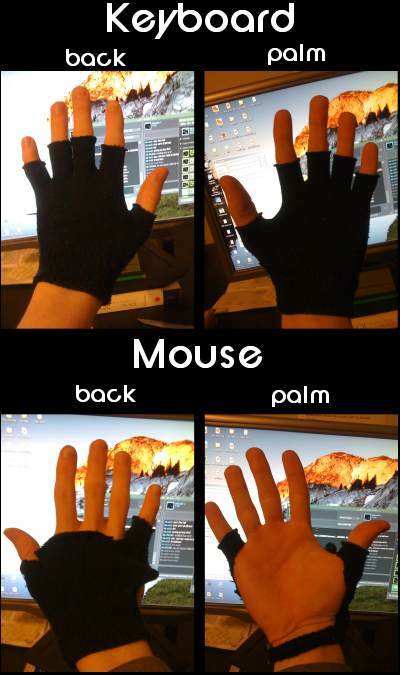 What most gamers don’t realize is that cold hands do affect your gaming performance. This is especially good for the cs go cold hands syndrome. How fast and precise your muscles respond to nervous stimuli is directly related to muscle temperature. Just ask any professional athlete how he performs with cold muscles. The same applies to your fingers, just on a much smaller scale. In order to be at your best, you must be playing with warm hands. – First, if your hands are too nervous and clenched up, your blood circulation will be restricted. – Third, if you have an overall poor circulation, your hands and toes will be affected first. This is the most common case. Now, we usually play with our arms stretched in front of us for a long period of time. Although this isn’t the worse position, the lack of movement contributes to poor sanguine circulation. The higher your arms are on the desk, the worse it will be. – A few jumping jacks, this will get your entire body to pump more blood and will warm you up quite rapidly. – Stretches, often a few simple stretches will fix any circulation issues. – Take in deep breaths. Deep breathing improves circulation tremendously, you’ll feel more energy and a clearer mind. – Get a hand massage. If possible, get a hand massage, not only will it feel GREAT, but it will almost instantly warm up your hands. All of these things will help you improve circulation, warm up your hands and help you with your aim. I know that we’re getting into smaller details of physical gaming, but they do make a difference. Although these won’t help with circulation, they’ll definitely help with keeping your muscles warm during the cold winter months! – Playing with cold hands will make you less accurate. – Watch your posture and breathe properly to reduce cold hands. Very true, but as I hate having cold fingers I always do something like this without really thinking about it 😉 Wristbands (made for that purpose, not sweatbands) warm sweaters etc. will help too. Glad i stumbled across this! I did my first gaming glowes now, must try it out. Have been eating good and am gonna load up some water. Got all the minerals and omega in my body fibers too. Warm up here i come. Thanks for this site maybe this can be a good hangout for achive perfection and good sportmanchip. PS! FPS is a sport too… i don´t care what u sportfreaks say.